The best way to describe a game of Water Polo is a combination between soccer and basketball played in a deep pool. Like soccer or basketball, the aim is to outscore your opponent by passing the ball to team members across the pool and scoring goals. 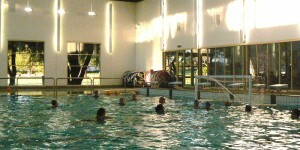 It is a vigorous and intense game and very popular among people who enjoy the best of both a water and team sport. And it is great for your all over general fitness! So – if you love the water and enjoy team sport, and want to develop new friendships take advantage of our 3 FREE ‘Come and Try’ sessions. We are always looking for players starting from 9 years upwards for our junior and senior teams. Just come along to one of our training sessions and give it a go. It beats swimming laps! Best of all your first three training sessions are FREE. However, you do need to be a competent swimmer as games are played in a deep pool and you will not be able to touch the bottom. Contact us to ask any questions you may have. 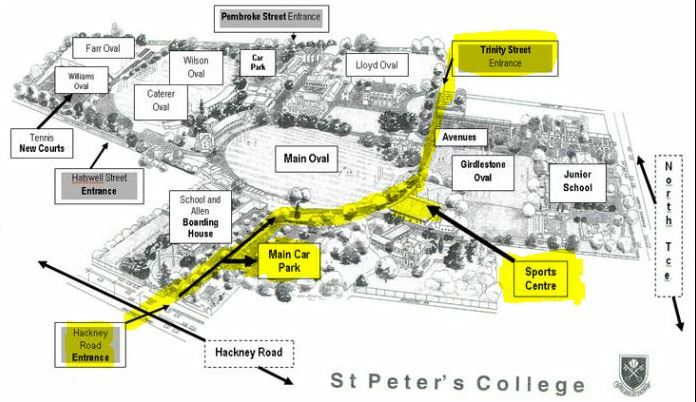 St. Peters College is located off the A21 Hackney Road opposite the Botanical Gardens. The swimming pool is directly opposite the main football oval in a state of the art Sports Complex. There is some parking close to the building itself and additional ample onsite parking in the main car park. Training is held Monday evenings during Term 1 & 4 and Thursday evenings Term 2 & 3.